Mumbai for all its charms and bustling activities gets on one’s nerves after a point of time. Then all we want to do is unwind, unplug and relax. There is nothing more we’d like than to exchange the traffic, polluted air and buildings with peace, fresh air and greenery to relax. There are no shortages of places to pick for a quick getaway near Mumbai,/Pune from the beaches of Alibaugh to the hills of Lonavala. For those seeking to explore caves, spend a day wading through waterfalls, take a trip back in time or maybe be even check out shrines and temples, look no further for Lonavala is the place to be. There are many resorts in Lonavala but for those looking for an exciting experience, a stay in The Machan is right up your alley. Nestling under the canopies of twenty thousand indigenous trees, Machan is one of the only eco-friendly resorts in Lonavala. 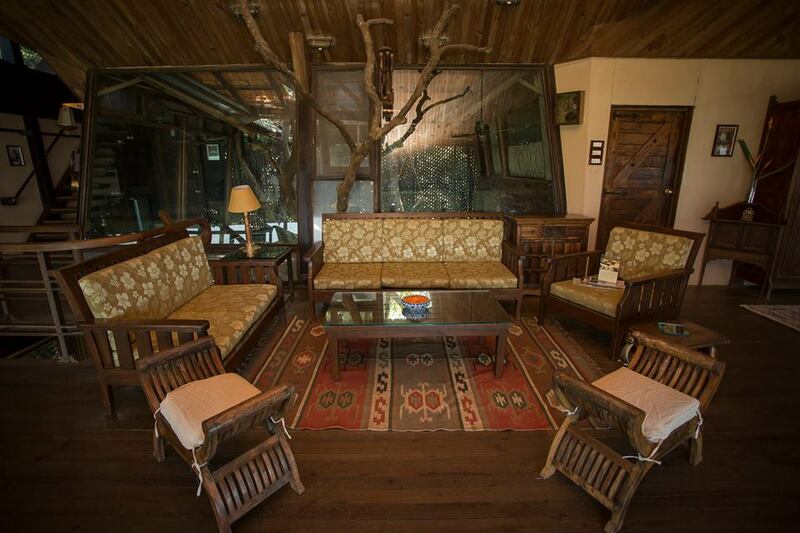 The tree house suites of Machan offer you the opportunity to enjoy nature in the lap of luxury. Their suites that meld with nature are designed to cater to couples and families alike. 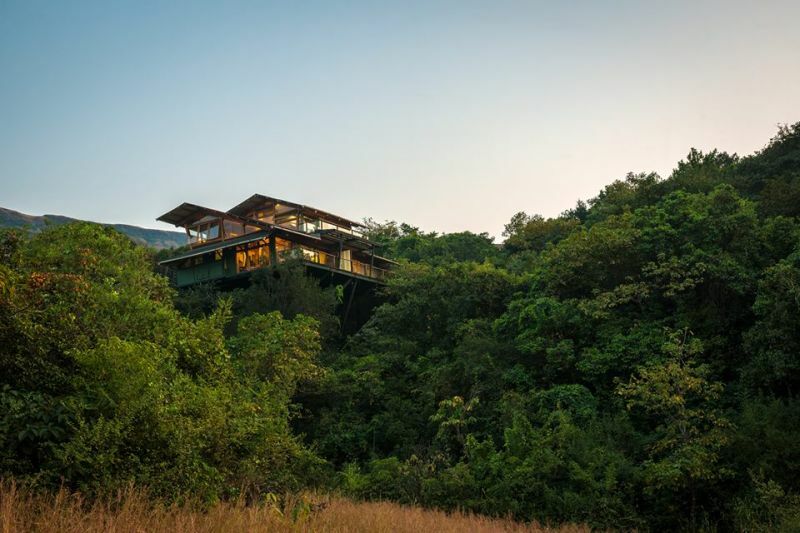 They offer suites of six different types: the Woods, Forest, Heritage, Sunset, Jungle and Starlight Machan. Each of the suites is uniquely designed with a rustic feel and have rooms that flow to give uninterrupted, breath-taking view of canopies and sky. It has been said that the light fixture of the Woods Machan, that caters to couples, is made of solid brass that has been salvaged from ancient ships. Ladies, that long soak in a bubble bath is now a reality as each of the suites has its own tub. For those looking for a little adventure in the shower, the Starlight, Sunset, Jungle, and Forest machans have “Open to sky shower”. Each suite has also got it’s very own private deck. What better way to get some exclusive time with your loved ones and nature? 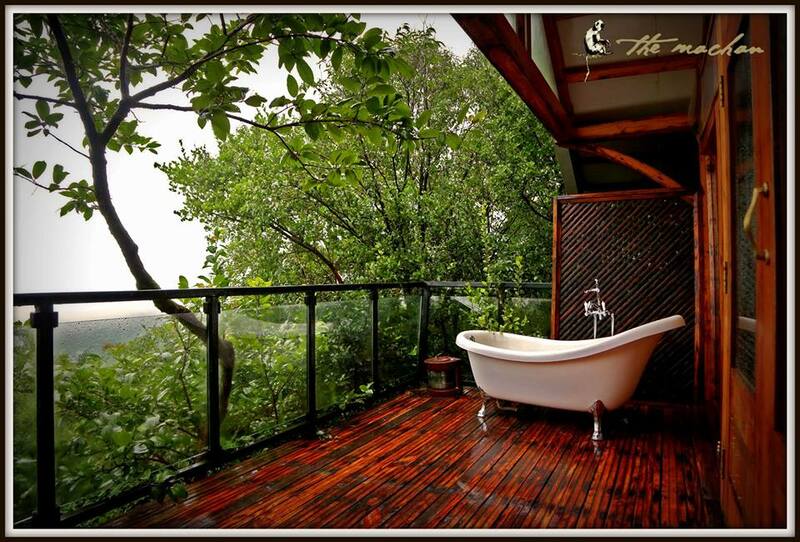 Spectacular views with sounds of nature that lulls you to sleep. The Machan is the perfect place to be during any season. Monsoon turns everything lush with streams and rivers that meander down rocks. Nothing to spice up that chai and pakodas with the feeling that you are snuggled amongst the clouds. Winter turns the skies to your very own planetariums with stars to keep you company while you are seated in front of cozy campfires. Summers turn Machan into a bouquet of orchids and the best place to be for bird watching. And if your luck holds up you may be treated to nature’s very own light show; fireflies. For those looking for an adventure at every corner, Machan boasts the luxury of having its own sunset point that is the end of their 4 km long private path. You can arrange guided treks through Machan’s staff. History buffs, its time to make that archeologist in you come back to life. Machan is located close to Koraigad Fort. The Lohagad Fort, Karla, and Bhaja caves are also not far off. Some of the other unique experiences offered by the Machans are private dining, private bonfires and “Learn to cook with the Chef”. Also, yoga and meditation are going to take on a different meaning to those who practice it, this time as they do it in nature. Mumbai is my favorite city. There located resorts are looks amazing. specially Lonavala resorts are the most popular. in which all things are unique.